It had to happen of course. Beer has nutritional value and so does tea. We’ve long had beer brewed with coffee, so why not with tea. 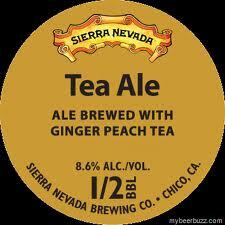 There are several such beers with tea on the market now (see list below). But first – what are the benefits of beer and tea? Beer – Beer has a good amount of a mineral known as silicon. Silicon helps build strong bones. The beer with the highest content are the pale ales – the beer richest in hops. The wheat beers have the least amount of silicon. Tea – Thousands of years ago wild tea plants originated in China. Of all the teas on the market, it is green tea which has earned the distinction of being described as ‘the science backed miracle cure’ due to its high concentration of antioxidants and minerals. (There are many types of green tea – for more information see the links below). Note: The term IPA – used in some descriptions, stands for India Pale Ale – it’s described as a type of ale with a light to copper amber color, with medium to medium high alcohol by volume – and with a taste of hops, malt and it may sometimes be bitter. Different countries have different IPAs, however, it was first brewed in England in the 18th century.